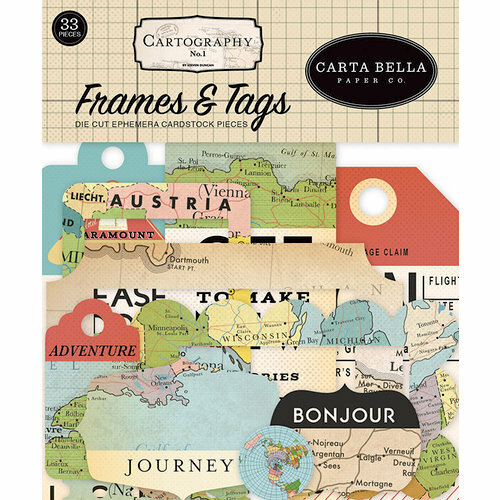 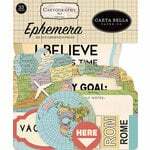 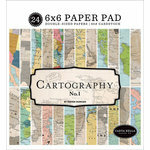 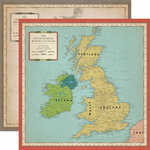 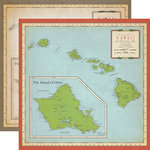 Frame your favorite photos from your trip of a lifetime using the Frames and Tags Ephemera from the Cartography No. 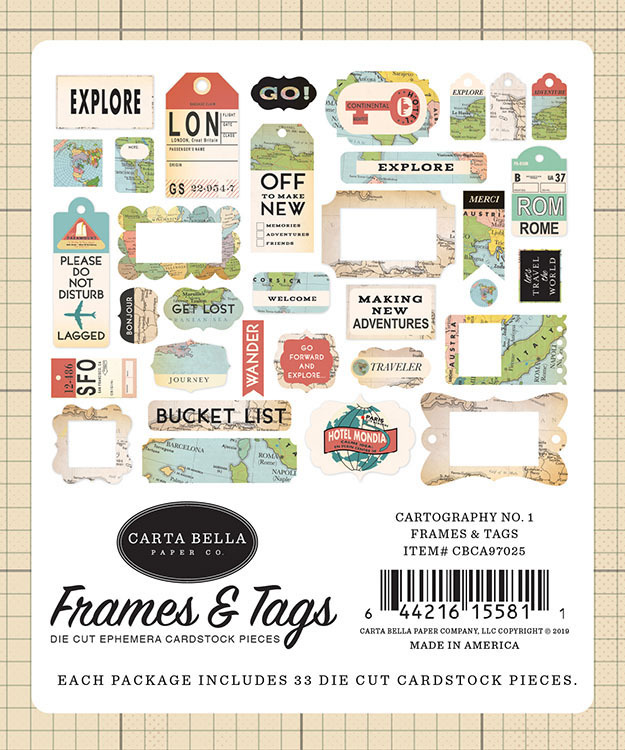 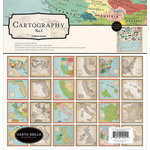 1 Collection by Carta Bella Paper. 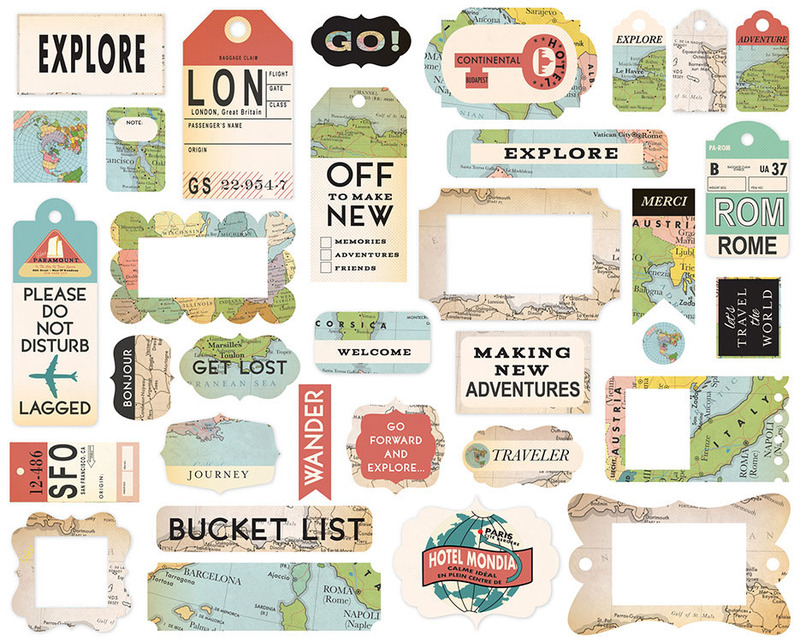 Included in the package are 33 die cut frames and tags designed by Steven Duncan that are made in the USA. 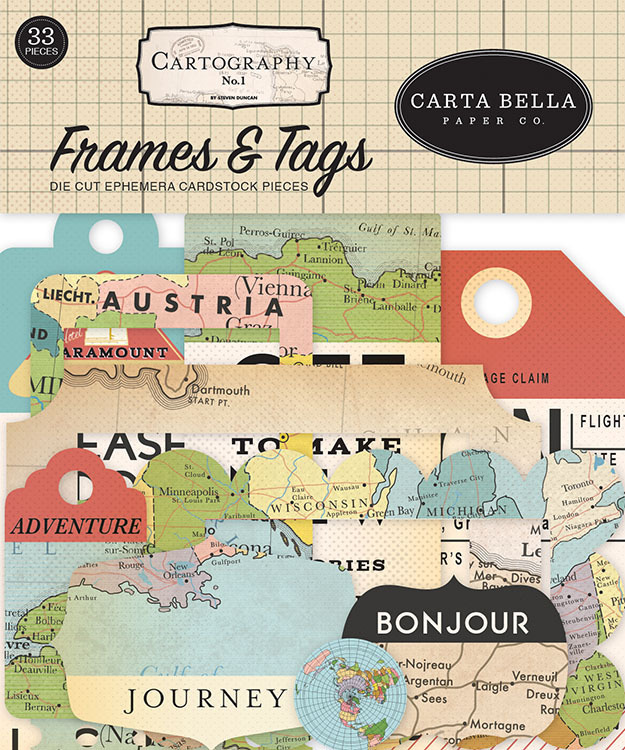 Featured images include maps and the words "Adventure," "Bonjour," "Journey" and more.